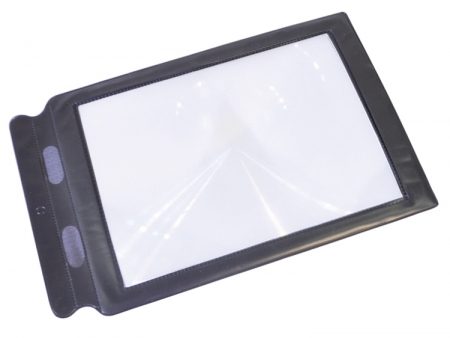 The Sheet Magnifier is ideal for reading large areas of books, maps and newspapers. Made from lightweight plastic with a PVC frame, this reading magnifier offers 2x magnification. Ideal for users who struggle to read small print. Ideal for use when reading newspapers and large documents.